*Authorized Bona Certified Craftsman* For thirty years Rivershores has been proudly providing West Michigan's builders, homeowners and designers with quality hardwood floors, product and service. When you choose Rivershores you can be assured your project will be in the hands of West Michigan's premier hardwood flooring craftsmen skilled in installation, sanding, staining, repairs and Dustless sanding. Introducing our new design studio, Rivershores Interiors! We are located at the East Grand Rapids location. With two on-staff designers, we offer cabinets, countertops and design services! Feel free to stop in and check out the cabinet and countertop lines we carry! 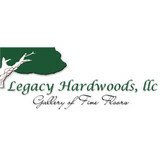 Real Wood Floors was started by owner Jason Jacobs in 1998. What started as a solo operation has turned into a successful business with several craftsman who create the finest wood floors in Southwest Michigan. In 1998, Jason attended the technical school put on by the National Wood Flooring Association. Some of his employees have attended similar schools and training seminars. We use national standards for all of our installation, sanding and finishing techniques. At Real Wood Floors, we strive to use the best materials available while staying competitive with our pricing. We have great relationships with our suppliers which helps us find the best products at the best value for your project. Most of our materials are domestically grown in the United States. We also use exotic wood species from around the world. When it comes to the finishing of your floors, durability and ease of maintenance is essential. We use Bona Traffic on almost all of our projects due to it’s ability to withstand years of use and still look great. It also has low VOC’s which is great for you as our customer and for our employees. When it comes to customizing your floor, we can design anything from borders to inlays to pattern or parquet floors. We work with you, the customer, to transpose your ideas into a finished product that you will love. Real Wood Floors has a great working relationship with area builders such as Glas Associates, W. Pennings and Sons, VanDam and Krusinga and several more. We offer epoxy, laminate, hardwood, and refinish hardwood flooring. Quick response and professional work. Weston’s Floor Care is your full-service family owned and operated flooring company serving Grand Rapids and surrounding areas for over 25 years. Our quality workmanship will bring the true beauty of your hardwood flooring to your home or commercial property. We sand, stain and urethane finish your existing wood flooring or install new raw or prefinished wood flooring in various widths. We also install luxury vinyl plank flooring. Your referral is the best compliment! We appreciate being a part of the process of you loving your floors! Call us for your hardwood flooring or vinyl flooring needs. From installation, sanding, staining, finishing and repairs, we do it all! We use only the best flooring products including Viking, Colombia, Northwood, Somerset, Trout River, Smith, Spring Creek, Indiana Hardwoods, Bruce, Bona, Dura Seal, Poly Care and many other top brands. Tile and slate floor refinishing residential or commercial is also available. Call us today for your free estimate. *Authorized Dealer of Shaw Floors* Since 1963, the DeGraaf Interiors professionals have helped set the standard for providing dedicated assistance to individuals and families when they make important decisions about their living environments. From knowledgeable salespeople who provide you with the latest ideas, trends and textures, to our trained installation specialists whose job it is to make every selection look beautiful in your home, the experienced DeGraaf Interiors team stands poised to lend our special expertise to your individual project. We’ll even vacuum your new carpet after installation to make your new flooring “guest-ready” as soon as possible. Klaasen Wood Floors provides a full range of hardwood flooring, and related services, including sales, demolition, installation, finishing and refinishing, repairs, and stair tread/riser installation. We don’t sell and install carpet — we specialize in wood floors! Our goal is to make it affordable for you to own a wood floor that’s truly a work of art. In a world of shortcuts and compromises, we do not take shortcuts. We use quality products, whether we’re talking about wood flooring, or the products used to secure it to your subfloor or the finish used to protect it and make it look beautiful. We offer our hardwood flooring in a broad range of woods and finishes to allow you unbridled creativity in your choices – whether you seek a warm, refined, traditional style, or a cool, urban attitude. *Authorized Mohawk Dealer* Migala Rug and Tile has been family owned and operated since 1912. Bill Migala began as an installer and has over 40 years of experience. 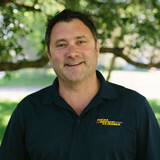 Jeff Migala has over 20 years of experience in the flooring industry. Katie Jones has a design background specializing in window treatments, paint color and total home coordination. We sell more than carpet! Migala Rug and Tile handles cork, ceramic, laminates, vinyl, linoleum, hardwood, carpet tiles and also window treatments. We are experienced in Commercial as well as Residential flooring needs. We offer a limited lifetime labor warranties on carpet. Not only do we offer personal design consultations, we have an experienced sales staff who is happy to give you a free estimate. Our work also comes with a 90 day satisfaction warranty. We can also take care of your carpet repairs, bindings, boats and RVs. From the moment you walk through the door, you will feel comfortable, relaxed and welcome in our store. Upon the choosing of your flooring needs, we will remain in constant communication with you to update you on the order process, the delivery process and the installation time frame. There should never be a moment where you are wondering where the process and project are at. Upon the receipt of your order, we will schedule Certified Installers to be at your home at the time of your choosing. They are the top of the line installers who guarantee a great job every time! When dealing with an investment of this magnitude, you deserve to have the job done correctly and properly the first time, we promise you will see the advantage instantly! DeHaan Tile & Floor Covering Inc.
*Authorized Dealer of Shaw Floors* DeHaan Tile and Floor Covering, Inc. has been servicing the Grand Rapids area since 1963! We offer quality products and honest, dependable craftsmanship. You will always find De Haan Tile and Floor Covering, Inc. prompt and courteous. We sell and install a complete line of laminate, quartz, and granite counter tops and flooring, including ceramic tile, hardwood, laminate floors, luxury vinyl planks (LVP), engineered vinyl plank (EVP), sheet vinyl, mill direct carpet and area rugs. We offer a staff of interior design consultants and in home design, to help you in your selection process. We also offer free estimates (within a 30-mile radius of Grand Rapids). Our installers are experienced professionals and we guarantee both material and installation. Contact us for more information. At Michigan Tile & Carpet, we are committed to offering the finest selections and name brands of flooring. We offer expert advice & design, superb installation, and special payment options for qualified buyers. From the latest carpet to the newest tiles, at Michigan Tile & Carpet we can help you with any room in your home or business at affordable prices. We carry all the finest name-brand flooring such as Mohawk, Custom Weave, Karastan, Hunter Douglas and many more. *Authorized Dealer of Shaw Floors* Our professional design staff makes all the difference. It is our mission to be West Michigan's leading floor covering retailer by providing more of what you — our customers — are looking for. That begins with selection, service, and price — but it doesn’t end there. It has to include trust. We offer quality and affordable products such as residential and commercial carpets, hardwoods, laminates, tile, vinyl and countertops. Our flooring store is located in Byron Center, Michigan just south of Grand Rapids, off of US-131 on 84th Street. RTBaldwin is a family-run company that believes in artisan craftsmanship, and we strive to provide high-quality hardwood flooring and stair solutions. What kinds of services do hardwood flooring installation professionals in Holland, MI provide? Find hardwood floor experts in Holland, MI on Houzz. Search the Professionals section for Holland, MI hardwood flooring installers and dealers or browse Holland, MI photos of completed installations and look for the professional’s contact information.